On Friday, Lavrov met with his US, Turkish and Saudi Arabian counterparts – mainly discussing ways to resolve Syria’s long-running conflict, waged by Washington for regime change, Obama fully responsible for genocidal slaughter and mass displacement. Media reports falsely suggested the four ministers agreed on Assad’s resignation. “Rumors have begun to circulate that we are discussing or will be discussing that President Assad must go after some time. This is not true,” Lavrov stressed. Of course, there will be speculation. (It) appeared before this meeting even took place. I heard that the rumors are being spread already that it has been agreed on in some place or another that in some period of time Assad will step down. This is not the case. We have confirmed our position. (It’s) very simple…The future of Syria, the future of the Syrian president, the future of any other individuals must be decided by the Syrian people alone. We all want this crisis to be resolved through restoring Syria’s territorial integrity and independence as a sovereign state – a secular (one), where the rights of all religious and ethnic groups are guaranteed without exception. Russia alone means it, respecting the sovereignty of all nations. Washington, Turkey and Saudi Arabia march to a different drummer. Their state terror and wars of aggression speak for themselves. Ignore their high-minded demagogy – declared solely to deceive. You can take Russia’s word to the bank. It’s rock-solid, not phony like it’s so-called (very adversarial) partners, especially Washington. Lavrov called Friday’s meeting useful but uneasy. He was outnumbered three to one. They agreed to disagree. Further discussions will follow. 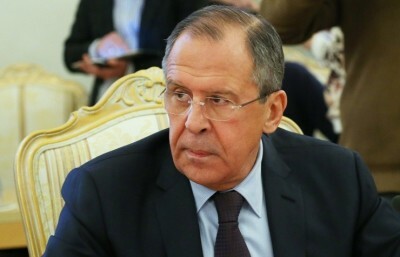 Lavrov said maybe soon, stressing the importance of involving Iran and Egypt – Syria most of all on its own future. Russia’s air campaign continues inflicting heavy losses on ISIS forces – no match against its superior firepower. Since September 30, 934 sorties destroyed 819 ISIS targets, an impressive performance catching Washington flat-footed, confounded on how to respond. Using futile daily propaganda, no more effective than firing blanks. Absurd reports from unreliable sources claim wrong targets are hit and civilians killed. False on both counts. No evidence suggests either. RT International exposed one of many examples – showing an attack killing civilians blamed on Russia came from ISIS artillery. It was ground, not air-launched. New Russian Public Opinion Research Center (VTSIOM) poll numbers show Putin’s approval reached an all-time high at almost 90% – because of his successful anti-terrorism operation in Syria. Last December, his spokesman Dmitry Peskov attributed his popularity to popular love for Russia, especially when it’s unfairly vilified. Western propaganda disgracefully bashes Putin. He’s the best hope for world peace, his righteous agenda vital to challenge America’s imperial pure evil.